The Maldives is a nation of coral islands scattered across the Indian Ocean. Geographically, it is located between 72o 32’ 30” E 73o 45’ 54” E and 7o 06’ 30” N to 0o 41’ 48” S, which puts her just north of the Equator and southwest of the Indian peninsular. The Maldivian archipelago consists of about 1190 small low-lying coral islands of which few of them are, just a meter above sea level. These islands stretch more than 800 km from north to south covering a total area of about 90,000 square km of which about 99% is water. 200 islands are inhabited while 87 islands are developed as resort islands. The fragile house reefs of these islands act as a barrier of protection from tides and waves. These reefs also contribute to the formation of sand and continuation of the life cycle of the marine species. It also acts as a habitat to thousands of tiny and large organisms. The former British protectorate that gained independence in 1965 is famous for its splendid white beaches, crystal clear lagoons and peaceful tranquility of nature’s blessing. This unique creation of nature naturally forms 26 atolls, which for administrative purposes are made into 20 by the government. This small republic was a kingdom before it was declared a republic. The population is estimated 265,000 in 1999. The ethnic origin of the natives is still in debate among scholars and researchers, but it is evident that there is a close resemblance with the South Asian, Southeast Asian, Arabic and African cultures and influence. 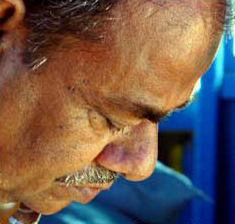 Maldivians speak in a unique language called dhivehi and have their own transcript thaana for writing. Maldivian economy was traditionally based on fisheries till the emergence of tourism as its foreign currency generator in the late 20th century. The introduction of tourism to the small island nation transformed the economy from a primary to a tertiary industry-driven economy, making tourism the most dependable industry of the country. Tourism being a service industry has direct and indirect links to all other major and minor industries of the economy. During the last two and half decades the Maldivian way of life has been changing in all aspects keeping pace with economic development. But still the lifeline depends on the sea, which supplies fish as food, sand and coral for housing and land for limited needs and the warm tropical underwater garden as a tourist attraction, which generates the much needed foreign currency. The tropical climate, white beaches and rich marine environment have made the country a tourist magnet for the past 32 years. The Maldives as the 14th century Moroccan traveller described as “one of the wonders of the world” today is said to be second to none for sun lovers, beach wanderers, scuba divers and those who seek peace in its simplest form. The origin of the first settlers of the Maldives still remains a mystery. The historians date early settlers back to 5th century BC with the Aryan immigrants coming from the neighbouring countries India and Sri Lanka. The Maldivian language is said to be Indo-Aryan with influences from Sinhalese, Tamil, Sanskrit, Persian, Urdhu and Arabic. It is believed that Hinduism existed before Buddhism. 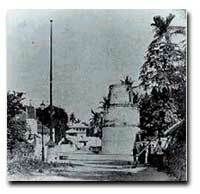 The Maldivians were practising Buddhism until AD 1153, when a learned scholar converted the king to Islam. The exact name and origins of this scholar is an ongoing debate. Some are of the opinion that he was a Moroccan traveller named Sheikh. Abul Barakaath Yoosuful Barubaree. Others say that he was from Persia and known as Sheikh Yoosuf Shamsudheenul Thabreyzi. Mr Mohammed Ibrahim Luthufi, an acclaimed contemporary historian and researcher, claims that the name of the person who converted Maldivians to Islam was Sheikh Aburikaab Yoosuf Thabreyzi. Since the conversion to Islam, the Maldives boasts of a recorded history that is rich and colourful. The system of government was a monarchy with Sultans as sovereigns while Sultanas or queens ruled on rare occasions. Traders from Arabia, India, Sri Lanka and Persia visited the Maldives to exchange goods. Slaves were also brought from Africa. Quite often, sailors were shipwrecked in the treacherous reefs of Maldives. 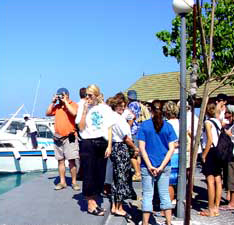 These visitors contributed much to the language and culture of the Maldives. However, the visitors' influence did not change the identity of the country as a secluded haven virtually unknown to the rest of the world. The abundance of cowry shells, coir rope and ambergris in Maldives attracted Portuguese interest in the country during the 16th century. Consequently the Portuguese launched attacks against Maldives. Their attempts were in vain until a better equipped and organised fleet attacked the capital Malé. In 1558 they seized control of the country, after defeating Ali 6th, the reigning Sultan. Since then, they administered Maldives from Goa in India but had their armed forces and a leader stationed in Maldives. Muhammad Thakurufaanu, from the island of Utheemu in Thiladhunmathi Atoll, waged an effective resistance against the invaders. In 1573 after fierce guerrilla warfare Muhammad Thakurufaanu and his compatriots defeated the Portuguese invaders. Muhammad Thakurufaanu was offered the throne and remains a revered national hero. The Portuguese did not allow the Maldivians to relax even after their 1573 debacle. The country had a restless time fighting off the colonial pursuits and had to strengthen its defence by building forts and acquiring more arms. Nevertheless there was a substantial time period before the country was captured by an invading force. Malabari pirates from the nearby south Indian coast finally succeeded in 1752 in seizing the Maldivan throne in the capital, Malé. They abducted the Sultan and took him to their country and placed some soldiers to administer Maldives. Only four months later Maldives regained control under the leadership of Muleege Hassan Maniku or Dhon Bandaarain who belonged to a family from Huraa in Malé Atoll. The British colonial ambitions in the Indian Ocean had their effects on Maldives. They recognised the strategic location of Maldives and the prospect of Maldives being under any other colonial power was unacceptable to them. It was in a period of uncertainty, political rivalry and turmoil in the Maldives that the British offered Maldives a treaty, which was to become a watershed in Maldivian history. Some Maldivian politicians also needed British co-operation to suit their ambitions. It was in this atmosphere of instability that the Maldives went into the agreement with British in 1887. The British pledged to protect the Maldives from any foreign aggression while the Maldives in turn agreed not to collaborate with any other foreign power without British consent. The British were also not to interfere with the internal affairs of the Maldives. Historians differ in their opinions as to the extent of the independence that Maldives enjoyed under the status of a British Protectorate. It was evident that the Maldives was not a colony per se, however the government of the Maldives sought the advice of British Governor in Ceylon on major issues. A written constitution did not exist in Maldives till 1932 and the customs and traditions along with Islamic Shariah formed the Law. The sultans usually consulted a group of advisors or bodun who included his ministers and the Fandiyaaru or Chief Justice. The Islamic scholars usually exercised much influence in the government affairs but quite often they were replaced when the Kings were at odds with them. The hereditary system continued to exist but in many occasions the helm of power shifted from one family to the other following internal uprisings and the demise of kings. A constitution was introduced in 1932 after the emergence of a new educated elite. The new constitution, which provided for a People's Assembly of 47 members, did not survive long. It was literally torn apart by the public and the reigning Sultan Mohammed Shamsudheen 3rd was dethroned shortly thereafter in 1934. The Sultan was believed to have used exceeded his legal powers. A new constitution was formed in 1937. In 1948 the existing agreement between the Maldives and the British were renewed. In 1953 the Maldives changed from a monarchy to a Republic. Mr Mohammed Amin Didi was the first President of the Maldives. He was a popular politician who had won a referendum held to determine the type of government that the Maldives should have. However, the Republic was short-lived. After a mere eight months Amin Didi was overthrown and a Sultanate was formed once again. The people were outraged because of the prevailing food shortages and the total ban of tobacco by Amin Didi. The Second World War caused famine that continued even in the early 1950s. Against this backdrop it was quite easy to manipulate and mobilise the ignorant masses for political ends by Amin Didi's rivals. Since the failure of the First Republic, the Maldives was a Sultanate until 1968. The intervening period saw the rule of only one king. Sultan Mohammed Fareedh was to be the last monarch of the Maldives. During the Second World War, British built a military base in Gan of Addu Atoll and Kelaa of Thiladhunmathi Atoll. They evacuated the bases soon after the war. However, British interest in the Maldives revived during the late 1950s. The British were successful to conclude an agreement with the Prime Minister Ibrahim Ali Didi for the lease of Gan in Addu for 100 years. This agreement signed in 1956 provided Gan, located in the southern tip of the Maldives, as an airfield for the British. It also included the provision of a part of Hithadhoo in Addu Atoll as a radio communication centre for the British. The agreement was heavily criticised in the Maldives, and led to the resignation of the Prime Minister. He was succeeded by Mr Ibrahim Nasir who sought to solve the problem regarded by the Maldivians as an issue endangering the territorial integrity and sovereignty of the Maldives. However, the government of Mr Nasir was to face more serious problems that threatened the integrity of the country. While the British developed Gan as a base for Royal Air Force, the people of the three southern most atolls revolted against the government of Mr Nasir. They formed a separate government and declared the 'United Suvadheeb Republic' in 1959. The British support for them was suspected by the government. The grievances of the people of these three atolls against the government were not entirely unjustified. For centuries, the people of the Huvadhoo, Fua Mulah and Addu Atolls sailed in their wooden vessels odi to Sri Lanka and India and exchanged goods. They travelled independently to these countries without stopping over at Malé; hence there was no government control over these trade affairs. However, Mr Nasir introduced measures which were unfavourable to the three southern most atolls including the prohibition of direct sail to the neighbouring countries without clearing through Malé. The workers in Addu who could have enjoyed the benefits of direct payment from the British were also disappointed with the arrangement in which they were paid through the government in Malé. They believed that the government controlled the exchange rates to their disadvantage. The separatist uprising was brought to an end by the government of the Maldives in 1963 in some atolls with brute force. However, the unease and hostility continued. The government of the Maldives negotiated with the British for a diplomatic solution. Maldives demanded more independence than the existing agreements provided for. In 1960 an agreement was signed reducing the period of British stay in Addu to 30 years. The British finally agreed to give independence to the Maldives and an agreement was signed in 1965. This historic agreement was signed on 25 July 1965 in Sri Lanka. However, the British presence in Addu Atoll continued till 1976. In 1968 the monarchy was ended and a Republic wasformed. On 11 November 1968, Mr Ibrahim Nasir was proclaimed the First President of the Second Republic. In 1978 Mr Maumoon Abdul Gayyoom was elected the President of the Maldives. He has been the President for the past 26 years. The Maldives is not blessed with many natural resources except for her beauty and the riches of the sea. In fact, 99% of its territory consists of water. Hence it is not surprising that tourism and fishing are the major industries of the country. Agriculture is practised only on a limited scale, as the land is not very fertile. The diversity of the flora is limited to a few tropical fruit and vegetables, root crops and others. The essentials and consumer goods are not manufactured because of the lack of resources. Almost everything required for living has to be imported. During seventies and early eighties the Maldivian economy was based on three major industries, fishing, tourism and shipping. Though Maldives has traditionally relied on fishing it also had developed a modest merchant fleet in the region called Maldives Shipping Limited (MSL). However, today shipping is a minor actor in the Maldives where only two industries dominate the economy. Fishing provides most employment to the inhabitants while the tourism controls the major foreign exchange. Notwithstanding the scarcity of resources in the Maldives, the past two decades have experienced a phenomenal growth of the economy. In fact, Maldives is one of the few countries which enjoys an annual GDP growth rate of 6.0%. The main activities in the modern industrialisation arena includes fish canning, manufacture of garments, bottled of aerated water and fizzy drinks, brick making, refrigeration, transportation, banking, andinsurance. These activities are significant in today's economy. Other minor industries in the Maldives consist of building and construction, boat-building, rope-making, blacksmith, handicraft, lacquer work and other cottage industries. 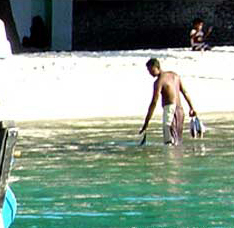 Traditionally fishery is the main occupation and major livelihood of the Maldivians. It is also the second largest industry in the Maldives. The main methods of fishing are pole and line for skipjack tuna. Surface trolling is done for little tuna, frigate mackerel, wahoo and jacks. The main composition of fish catch is skipjack tuna (Katsuwonus pelamis), representing 50-75% of the total catch. The second most important fish caught is the yellowfin tuna (Thunus albacaraes). The main fish products exported are; frozen fish, canned fish, dried fish and salted dry fish. 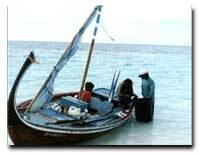 The traditional fishing vessel is a sailing dhoni not about less than 15 feet long. Thatch sail were also used in the early days of fishing. Clothe sails and rowing is common in traditional fishing practice. The Maldivan fishery is famous in the world for its dolphin friendliness. The mechanisation of fishing vessels revolutionised the Maldivian fishing industry. It enabled the fisherman to travel much farther distances, than were possible when sailed boats were in use. It meant that the direction and speed of the wind were no longer determinants of the distances travelled by fishermen in search of fish. Establishment of cold storage facilities was another important landmark in the development of the fisheries industry. In 1997 average number of mechanised fishing (dhonis) vessels engaged in fishing were 1,328. Catches of tuna and other tuna like species tripled from 30,000 metric tons to 100,000 metric tons in 1994. The total catch of fish increased to 107,358.17 metric tons. Haa Alif, Raa and Baa, Lhaviyani, Kaafu, Thaa, Laamu and Gaafu are the principle fishing atolls representing about 75% of total fish landings. In the past Maldives exported tuna primarily in the dried and smoked form called hiki kandumas or 'Maldive Fish' to Sri Lanka. In 1971 due to reduction in purchase of 'Maldive Fish' there was a strong need for diversification of the product and market. Maldives also exported other form of fish products to Japan and Thailand. In 1982 the export of fish was severely affected because of the drop in negotiated export prices caused by world recession and decline of demand for the Japanese companies which had been regularly buying fish from Malé. However, the government of the Maldives stepped in to take over the collection and canning facilities of Japanese company, which had withdrawn from the country. Authorities ensured that the procurement prices paid to the fishermen were maintained. Later better prices were negotiated with some buyers in Thailand and other countries. The government of Maldives implements various projects to diversify the fish projects and get new markets. Ministry of Fisheries, Agriculture and Marine Resources is the government authority concerning the implementation of projects and studying the various impacts of new developments in this sector. During 1980s Fisheries Ministry started a project to anchor mooring buoys in various parts of the country to attract tuna. Fishermen's Day is also marked to emphasise the importance of fishing to the Maldivian economy and the livelihood of Maldivians. The Maldives Industrial Fisheries Company Ltd. is a government owned company which carries out business in the field of fishery. MIFCO buys fresh tuna from local fishermen. They have collector vessels deployed in fishing atolls. It also owns a fish-canning factory at Felivaru in Lhaviyani Atoll. MIFCO operates a boatyard in Alifushi, where larger fishing vessels are now built and sold to the people on hire purchase basis. Fishery in the Maldives shows a promising future. The industry needs modernisation and new technology to keep pace with the global economic development. The spectacular beauty of these coral islands made the Maldives one of the most popular holiday destinations in the world. People had visited these islands to trade with the inhabitants and by chance when their ships ran off course or were shipwrecked in the shallow reefs of the Maldives. The sheer natural beauty of the country and the warm hospitality of her dwellers captivated almost all of them. From a very humble beginning in the 1970s the tourism in the Maldives has evolved and matured into an industry, which is a key player of the domestic economy. Tourism in the Maldives began in 1972 with 2 tourist resorts namely Kurumba Village and Bandos Island Resort with a bed capacity of 280. By 1987 the total number of resorts increased to 57, while their bed capacity rose to 6203 beds. After 29 years of sustainable growth in the industry the number of resorts in 2000 stands at 87, having a total bed capacity of more than 15,000 in resort islands. There were more than 2500 beds in other tourist accommodating facilities such as hotels, guesthouses and safari vessels. Today tourism contributes over 19% to the country's GDP, generating more than 70% of foreign exchange earnings and more than 40% of government revenues. The number of in-bound tourists to the country increased tremendously from 1097 tourist in 1972 to 395,725 in 1998. Each resort is located on an island with self contained facilities such as power plants, cold rooms, desalination plants, sewage and waste disposal systems, staff quarters, transport services and diving facilities etc. Each resort is designed differently and every island is unique despite the typical tropical environment of the Maldives. Guestrooms are generally built in single story though very few resorts have two story rooms. Most of them have thatched roofs and are built of corals and bricks. Ministry of Planning and National Development. Design & Maintained by Aloha Maldives (IT) department. All rights Reserved to Aloha Maldives.